Delta airline’s announcement of three extra flights to and from the US every week is more good news for Irish tourism, according to Minister for Transport, Tourism & Sport Leo Varadkar. The US airline today announced that the extra services will operate between Dublin and JFK, New York from June to August this summer, and it will also upgrade its planes from the 757 to the larger 767 models. “This is more great news as we kick off the year of the Gathering. 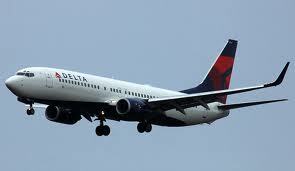 Delta estimates its extra services and larger planes will provide around 1,400 more seats every week. There is already huge interest in the Gathering in North America, and extra airline capacity will be crucial in persuading them to travel this year,” Minister Varadkar said. The news from Delta follows positive visitor figures published this week, which showed an increase of 2.9% in visitors to Ireland from the North America in 2012. Dublin Airport is today reporting 2% growth in passenger numbers to 19.1 million in 2012, while traffic at all three State airports increased for the second year running. Also today, Fáilte Ireland is today reporting that the sentiment in the Irish tourism sector is at its highest since 2007. And Fodor’s respected Travel Guides is the latest publisher to recommend a visit to Ireland this year. A number of new routes for 2013 to North America were announced at the end of last year, and are expected to increase capacity by 20%. Aer Lingus is operating extra services from Chicago, Boston and Orlando, while United, US Airways and American Airlines, have also announced new services.